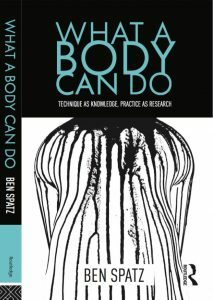 In What a Body Can Do, Ben Spatz develops a rigorous theory of embodied technique as knowledge. He argues that viewing technique as both training and research has much to offer current debates over the role of practice in the university, including the debates around practice-as-research. Drawing on critical perspectives from the sociology of knowledge, phenomenology, dance studies, enactive cognition, and other areas, Spatz argues that technique is a major area of historical and ongoing research in physical culture, performing arts, and everyday life. Introduction: What Can a Body Do?